Time for some updates. 'Twould seem that in starting to build the Endeavor, I have entered the Twilight Zone where canon and fanon collide. Canon is defined as what has appeared or occured on screen, be it big or small. Fanon is what has appeared in the ever expanding realm of fan published material - some of which is regarded as more 'official' than others. 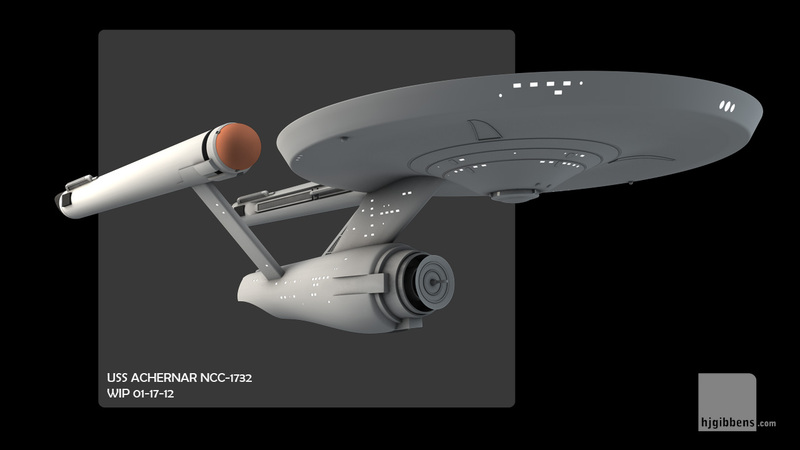 Now, Matt Jefferies, the original designer of the Enterprise, designed the ship with a more curvaceous secondary hull. When the model was built, the secondary hull was streamlined to make it easier to physically build. 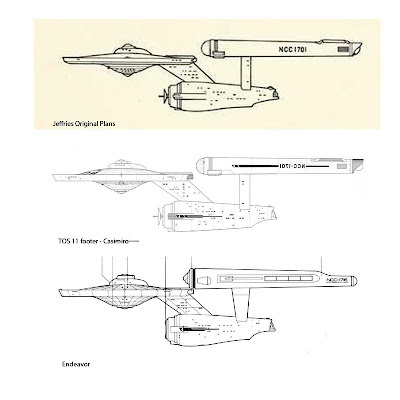 When Franz Joseph published his 'Star Trek Technical Manual' in the 70's, he based his plans off Jefferies original designs - the curvaceous secondary hull was back in, along with a few other tweaks. 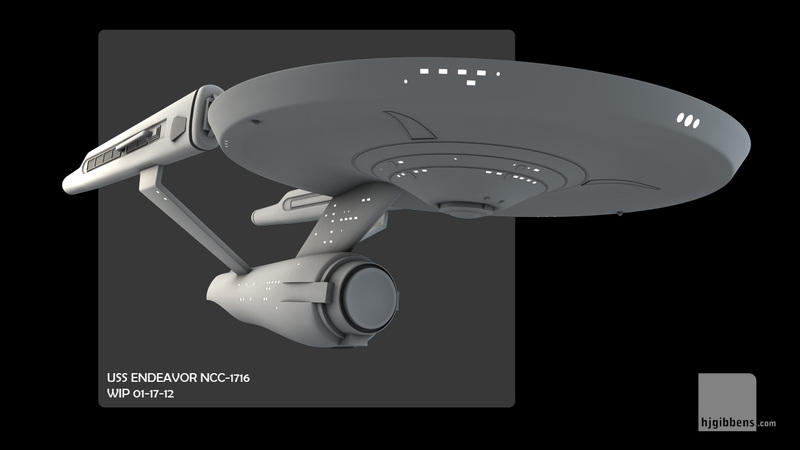 I originally built the Ajax and subsequently the Enterprise based of Charles Casimiro's blueprints of the 11 foot TOS filming miniature. When I originally built the Endeavor, I used the parts that I had already built which were not quite true to the actual plans - as was pointed out to me by a reply on one of the forums. The Jeffries/FJ designs were used as the basis for the designs in 'Ships of the Star Fleet: Vol 1'. The production design was used for the Enterprise's ship class, but the Jefferies FJ design became its own class - the Achernar. 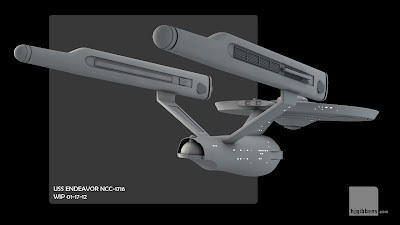 The Achernar secondary hull then became the basis of other designs in the book. Still with me? Good. 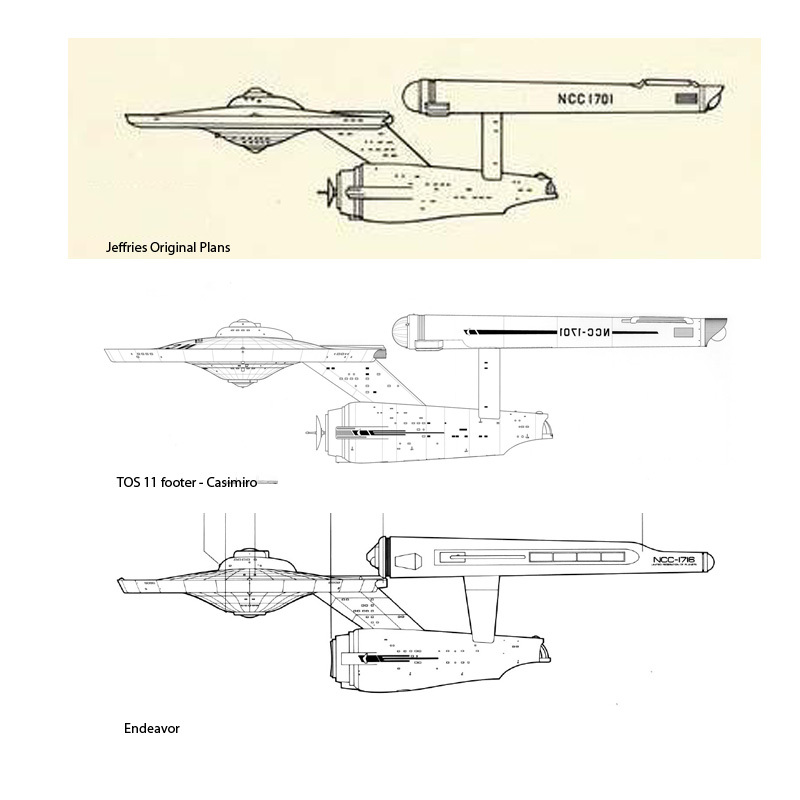 Armed with this information and scan of the plans from the book, I have rebuilt the Endeavor and also built an Achernar in to the bargain. 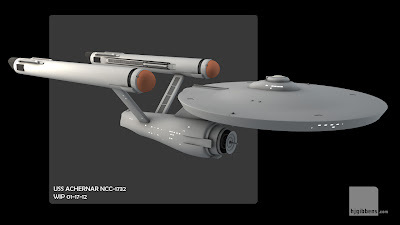 The Endeavor - replaced secondary hull, warp nacelle pylons moved forward in to more accurate position, nacelles elongated to match plans, bridge and B/C deck replaced with FJ versions, phaser emitters added. 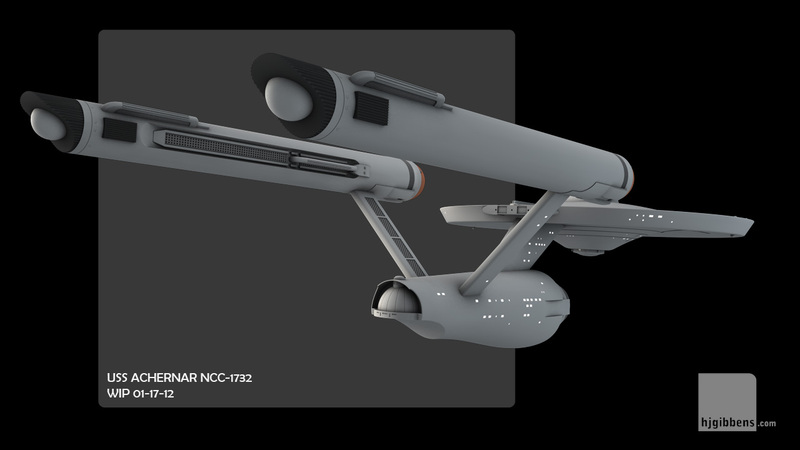 The Achernar - a new build using the Endeavor primary and secondary hull with the warp nacelles from my 1701. 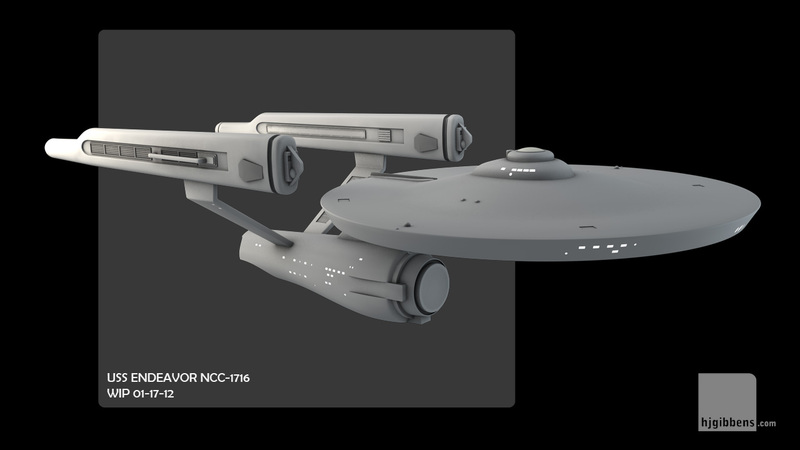 Still some detail to add to both.